Exactly five years ago today, I became a published author with the release of The Heir (Verindon #1). I was full of hopes and dreams and even so, didn’t realise how fulfilling becoming an author would be, in spite of the hard slog it is at times. It’s been five years of ups and downs, of three more books released (two in the Verindon trilogy and one contemporary drama), of being sometimes elated and sometimes depressed by reviews. Of sitting at tables at bookstores and conventions trying to catch the eyes of passersby to see if they wanted to go on an adventure into the world of my imagination. It’s been a privilege to share this journey with my publisher, Wombat Books, and I thank them for all their hard work. 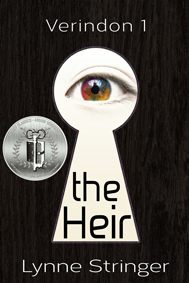 🙂 To celebrate, they’ve made the Kindle version of The Heir only 99c at Amazon US for the month of June. You can check it out here. It’s been reduced on other countries’ Amazons as well. If you’re reading this, you may have already read The Heir, if not the full Verindon trilogy. However, if you haven’t, I have an offer for you. I am giving away an autographed set of the trilogy, which I will send to anywhere in the world. If you would like it and you haven’t read it, please leave a comment on this post. And if you can think of anyone else who would like it and hasn’t read it, please share this with them and get them to leave a comment. At the end of the month, I’ll pick a winner and notify them.